A common Catholic complaint is that Luther "threw" 2 Maccabees out of the canon because it teaches purgatory. For instance, I've reviewed Catholic apologist Gary Michuta's claims that Luther was forced when debating Eck in 1519 to abandon 2 Maccabees because it taught Purgatory. The problem though for Catholic apologists, is that Luther still believed in Purgatory at the time they say he rejected 2 Maccabees. The honest truth of the matter is Luther rejected 2 Maccabees for reasons he outlines, not what Catholic apologists claim. That there is a purgatory cannot be proved by those Scriptures which are approved and trustworthy. I have never yet denied that there is a purgatory, and I still hold that there is, as I have many times written and confessed, though I have no way of proving it incontrovertibly, either by Scripture or reason. I find in the Scriptures, indeed, that Christ, Abraham, Jacob, Moses, Job, David, Hezekiah and some others tasted hell in this life. This I think to be purgatory, and it is not incredible that some of the dead suffer in like manner. Tauler has much to say about it, and, in a word, I have decided for myself that there is a purgatory, but cannot force any others to the same decision. There is only one thing that I have attacked, namely, the way in which they apply to purgatory passages of Scripture so inapplicable that it becomes ridiculous. So they apply Psalm 66:12, “We went through fire and water,” though the whole Psalm sings of the sufferings of the saints, which no one places in purgatory. Again, St Paul, in 1 Corinthians 3, says of the fire of the last day that it will prove the good works, and by it some shall be saved because they keep the faith, though their work may suffer loss. Of this fire also they make purgatory, according to their custom of twisting the Scriptures and making of them what they will. To be sure, even St Gregory interprets the word in Matthew 12 to mean that some sins will be forgiven in the world to come, but St Mark does not allow that interpretation to stand, and he counts for more than all the doctors. I have said all this so that we may know that no one is bound to believe more than what is based on Scripture, and those who do not believe in purgatory are not to be called heretics, if in other respects they hold the entire Scriptures, as the Greek Church does. The Gospel compels me to believe that St Peter and St James are saints, but it is not necessary to believe that St Peter is buried at Rome and St James at Compostella and their bodies are still there, for that the Scriptures do not tell us. Again, there is no sin in holding that none of the saints whom the pope canonizes are saints, and the saints take no offense at that, for there are many saints in heaven of whom we do not know that they exist at all, still less that they are saints; and they take no offense at that, and do not think us heretics because of it. The pope and his sectaries play this game only that he may set up many wild articles of faith, beside which the true articles of the Scriptures are silenced and suppressed. But their use of the passage in 2 Maccabees 12, about how Judas Maccabaeus sent money to Jerusalem to buy prayers for those who fell in battle, proves nothing, for that book is not among the books of Holy Scripture, and, as St Jerome says, it is not found in the Hebrew tongue, in which all the books of the Old Testament are found. In other respects too this book has little authority, for it contradicts the first book of Maccabees in its description of King Antiochus, and contains many more fables which destroy its credibility. And even though the book were authoritative, it would yet be necessary in the case of so important an article that at least one passage out of one of the chief books should come to its help, that every word might be established in the mouth of two or three witnesses. 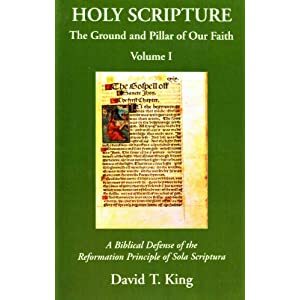 It is a suspicious circumstance that on this subject alone there should be found in the whole Bible no more than one passage, and that in the least important, most despised book, if it is so great a matter, and so much depends upon it that the papacy and the whole priesthood are all but built upon it, and derive all their wealth and honor from it. Without doubt the majority of the priests would starve if there were no purgatory. They ought not to offer to faith such weak and fallible grounds. 2 Cor 5:8 is in the Catholic bible, is'nt it? that he may have deleted my earlier response. St Paul, in 1 Corinthians 3, says of the fire of the last day that it will prove the good works, and by it some shall be saved because they keep the faith, though their work may suffer loss. Of this fire also they make purgatory, according to their custom of twisting the Scriptures and making of them what they will. 1Co 3:13 each man's work will become evident; for the day will show it because it is to be revealed with fire, and the fire itself will test the quality of each man's work. 1Co 3:14 If any man's work which he has built on it remains, he will receive a reward. still believed it was true! Quoting again from Mr.
"That there is a purgatory cannot be proved by those Scriptures which are approved and trustworthy. I have never yet denied that there is a purgatory, and I still hold that there is, as I have many times written and confessed, though I have no way of proving it incontrovertibly, either by Scripture or reason..."
"...in a word, I have decided for myself that there is a purgatory, but cannot force any others to the same decision." (1521, Luther's response to Exsurge Domine qtd. Purgatory by Scripture - still believed in it. Not sure how "suffer loss" of reward is a "clear reference" to purgatory. Certainly the man will probably be ashamed and greived that he did not do all he could do for his Savior, but this "suffering" of loss is, clearly not purgatory. The works are burned up, not the man. Seems like another vain attempt to see purgatory in any verse where fire/suffering is found. Luther's reading was clearly correct. Hmmm, not sure how it happened, but yes, it was under the wrong blog entry... I have taken the liberty of copying your (James') response into this comment - and I will respond to it here. Like I said, I was tired when I did that first response, but I have no clue how it could get attached to the wrong blog entry. Agreed, but that would only further my point - the context shows more here than Luther lets on to. Thank you! That is appreciated. Is there an online reference to the original that we can all look at? > articles written against him. Well, as I said, the context reveals more than Luther lets on to. I agree his reference is not specific, but the quote was pretty direct. > really is Luther's point. It really is a prooftext, even if Luther, et al, refuses to see it as such. It speaks of the judgment, wherein our works are tested - this is after this life when this happens. It goes on to say that if works remain, there will be rewards - but if the works are burned up, the person will "suffer loss, yet he will be saved." So we have a "saved person" who will undergo judgment/testing and IF his works are "burned up" this "saved person" will "suffer loss." Well, it's NOT merely a loss of reward - THAT is a twisting of the Scripture! One does not "suffer" the "loss" of something they NEVER HAD! It is AFTER this SAME JUDGMENT/TEST OF FIRE that the person whose works remain WILL BE rewarded, whereas the one whose works are "burned up" - that person will "suffer loss." It is a clear reference to suffering after this life, but before entering into the beatific vision of Heaven. Perhaps the reason it took me so long to write you is that I was not informed that you had posted a blog response about me and/or something I had written. When I blogged my response, I informed you here that I did so, I didn't wait for you to stumble upon it by accident well after the fact, (that's how I found your blog, using a Google search including my name). > not sins and their punishment. > the temporal punishments of sin. Notice how you've parsed the terminology here. Your first comment is "works... not sins" and then your next comment is "temporal punishments of sin." Those are two quite starkly different concepts. The temporal punishments OF sin are not the sins themselves - those have already been forgiven. If any man’s work is burned up, he will suffer loss; but he himself will be saved, yet so as through fire. Note, the subject at the end of this sentence is "himself" and he will be saved, "as through fire." So where it may not be a literal "fire" - it will be "as fire" and he will pass through it. Well, it's not simply because fire is mentioned. It's a judgment or testing "AS BY fire" - and the individuals passing through this will either receive a reward OR suffer loss. So there's a LOT more than simply mentioning fire. No, what we've seen clearly is that there is a reference to "the day" that will bring the quality of our work to light. Indeed, it makes much more sense that it's a reference to the Day of the Lord, for fire is a frequent image associated with the return of the Lord. Certainly the text plainly says, "suffer loss" which is quite different from whatever suffering purgatory is purported to be. Does one "suffer loss" in purgatory or does one suffer from the purging? the day-of the Lord (1Co 1:8; Heb 10:25; 1Th 5:4). The article is emphatic, "The day," that is, the great day of days, the long expected day. declare it-old English for "make it clear" (1Co 4:4). it shall be revealed by fire-it, that is, "every man's work." Rather, "He," the Lord, whose day it is (2Th 1:7, 8). Translate literally, "is being revealed (the present in the Greek implies the certainty and nearness of the event, Re 22:10, 20) in fire" (Mal 3:3; 4:1). The fire (probably figurative here, as the gold, hay, &c.) is not purgatory (as Rome teaches, that is, purificatory and punitive), but probatory, not restricted to those dying in "venial sin"; the supposed intermediate class between those entering heaven at once, and those dying in mortal sin who go to hell, but universal, testing the godly and ungodly alike (2Co 5:10; compare Mr 9:49). This fire is not till the last day, the supposed fire of purgatory begins at death. The fire of Paul is to try the works, the fire of purgatory the persons, of men. Paul's fire causes "loss" to the sufferers; Rome's purgatory, great gain, namely, heaven at last to those purged by it, if only it were true. Thus this passage, quoted by Rome for, is altogether against, purgatory. "It was not this doctrine that gave rise to prayers for the dead; but the practice of praying for the dead [which crept in from the affectionate but mistaken solicitude of survivors] gave rise to the doctrine" [Whately]. Clearly we have a difference of opinion and interpretation. 22 years ago, I would share your interpretation with you, but I do know differently now. The fact of the matter is, the Catholic Church does not define exactly what or how the purging process of Purgatory is or will be. We just know, from Scripture, that there will be this cleansing since nothing impure can enter Heaven. It is not my intention to come here and attack you and your beliefs. I initially came to this blog because I stumbled across something Mr. Swan wrote about me a year and a half ago, and I was not aware it was even here until I happened upon his response in a Google search. I have responded to him, and he says he will get to my responses when he has the time. I invite his interaction with what I've said. Now, that being said, if you wish to continue this with me - then I would invite you to challenge me and/or the several other Catholic apologists on The Catholic Debate Forum on Yahoogroups (CDF). And of course, you can respond in the comments section of CathApol, my blog. As I told James, I am not an anti-Lutheran apologist and do not plan to frequent this blog much. I will check in from time to time, but am quite busy on CDF, and other forums I participate in. Clearly we have a difference of opinion and interpretation. 22 years ago, I would share your interpretation with you, but I do know differently now." Scott, i would love to debate, but have very limited time, with Church, family, and work but let me mention that 24 years ago, I was in your shoes. I was a Catholic preparing for marriage. My priest let me borrow his catechism and while i tried to read it, found it empty and void of life, not filling my need to know God more as I tried to "get more religious" for marriage. At the same time a part time pastor at work shared the Gospel of Grace on the Romans road of salvation with me. Praise and thanks be to God, that God graciously opened my eyes to understand His Word and gave me the Faith to believe in Him(Christ) and trust Him alone as the substitionary atonement for my sin, the author and finisher of my salvation, making me a new Creation in Christ. God truly seated me in heavenly places with Christ, as I literally could not sleep for 3 days, feeling the presence and closeness of Christ, my Savior. For the next 6 months I was walking on air, joyous, hungry for God's Word, telling others about the free gift of salvation in Christ, truly loving God and His Son because He first loved me! God converted me to Himself, not to a church. I will forever boast in Christ and in Him alone! Christ is my all in all, and all "the fullness of the Faith" there is. The Savior and Shepherd of the sheep found me and I rest with true peace in Him. Thanks for sharing. 27 years ago I was preparing for marriage too - to a Catholic, and I was not Catholic. For 7 years I remained non-Catholic, but then - when I actually opened my heart and mind to the possibility - the Truth was let in. I have been a Catholic for a little over 20 years now, and have never regretted the move - which was not based in an emotional high, but in deeply thought out and heavily debated with my father-in-law (not so much with my wife, as she was visiting several churches with me from my Lutheran church to a few non-denominational fellowships I also frequented). One thing I cannot understand is how one who was a Catholic could ever leave the Real Presence of the Eucharist behind? Unless, of course, that person never really accepted the Real Presence theology. If this conversation is not appropriate here, feel free to address me in one of the forums I mentioned before. I also host a couple others which are not nearly as busy as CDF, I would encourage you to contact me in the ACTS forum. If it is OK here, I'll try to check back more frequently.